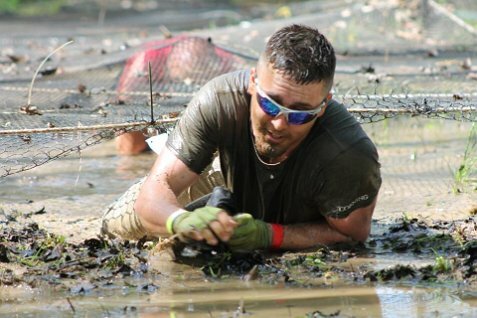 TEXAS TOUGH 2.5K MUD RUN COURSE! Warning!! This ain’t no color run! 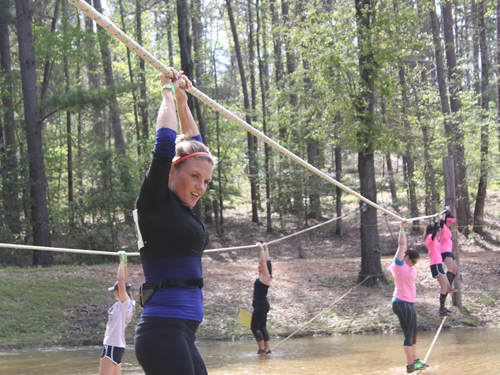 This is a true challenge course for you to approach at your own pace. 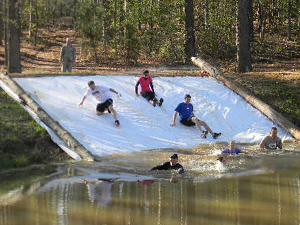 Be competitive, or just prove you can complete this obstacle mud run for bragging rights. 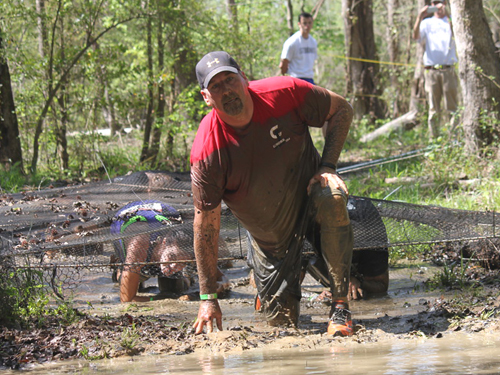 Our course includes more obstacles than a lot of major (Tuff Mudder Type) mud runs. 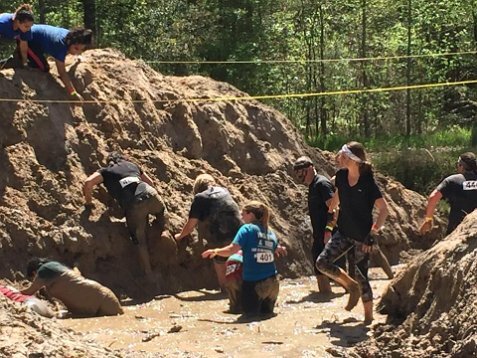 We start with your first obstacle with a run over 2 mud moguls. 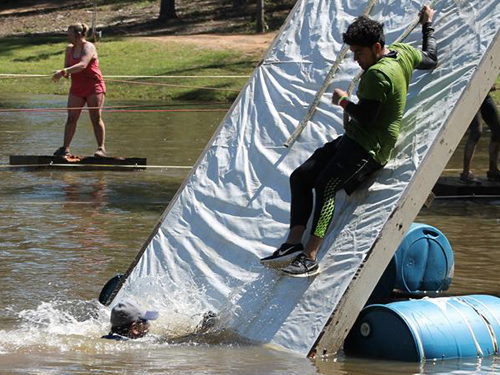 The following obstacles fall in order during your run: cargo net climb . log hurdles . rope water cross . swim across neck and vinyl water fall climb . 30’ log over water balancing cross . 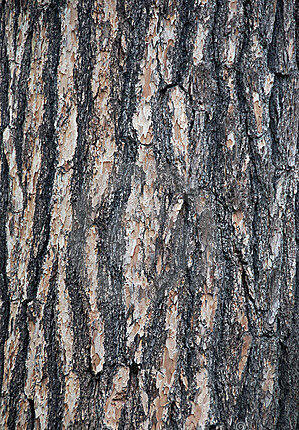 double log cross . 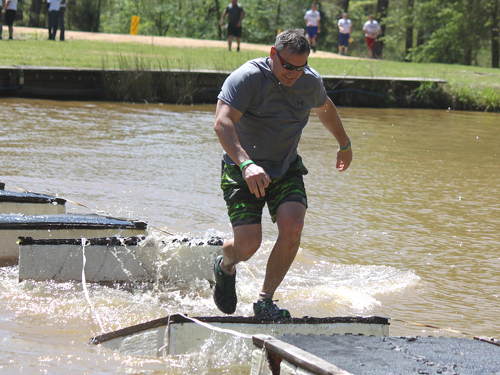 and then you enter the creek swamp challenge. 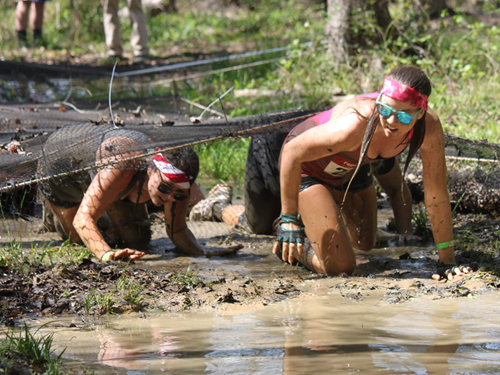 You must climb over logs in the creek and run in the mud until you reach the (under the net) mud crawl. 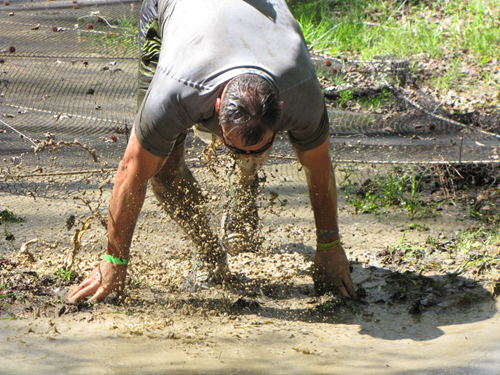 You continue to run in the swamp mud until you reach the next water log cross, taking you to the canal leading you under the bridge and over one tall wall of dirt only to reach one more wall of dirt. You will now continue to the floating wall (the same as used for British Marine Special Forces training) and then continue to the broken bridge consisting of 153 feet of moving floating blocks to cross. Finally, finish with our four racing rafts. 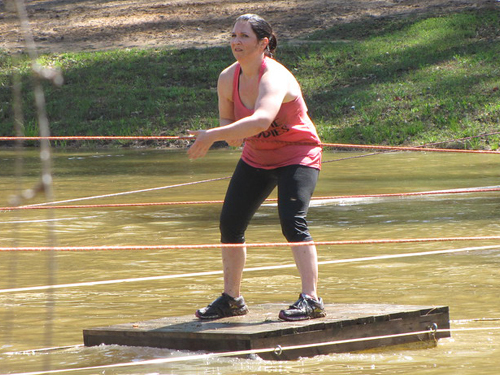 You must balance yourself and pull yourself to the island to ring the cow bell and race back to the shore to declare the winner. For only $4, take home a "Bragging Rights Dog tag" to show your friends you have completed your run or walk. 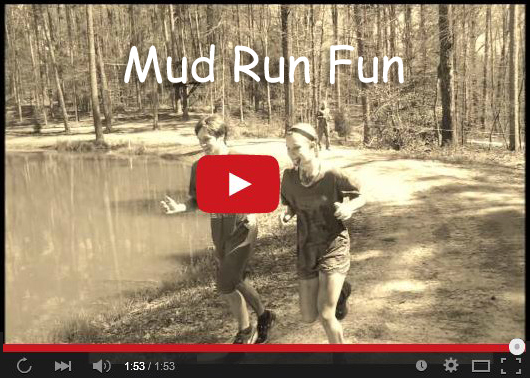 Also check out our Annual March Madness Mud Run Event!